Our mentors are friendly, experienced Groovy developers who will help teach you new techniques and tricks. 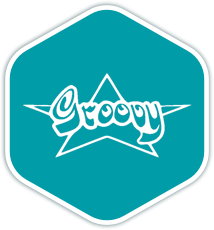 Groovy is the Apache Foundation's powerful, optionally typed, dynamic language, which also features static-typing and static compilation capabilities. Groovy is aimed at improving developer productivity thanks to a concise, easy to learn syntax. It facilitates scripting, Domain-Specific Language authoring, runtime and compile-time meta-programming, and functional programming. It allows access to the entire ecosystem of Java libraries, and integrates seamlessly with Java applications. Once you join the Groovy language track, you will receive support and feedback from our team of mentors. Here are the bios of a few of the mentors of this track. I'm a long-time full-stack web developer in a range of languages. I mentor Groovy to allow me to teach and learn from the students. These are a few of the 41 exercises on the Groovy track. You can see all the exercises here. The Groovy Maintainers are the brains behind the Groovy Track. They spend their spare time creating interesting and challenging exercises that we can all learn from. We are incredibly grateful for their hard work. Here are the bios of a few of the maintainers of this track. Get started with the Groovy track. As with everything on Exercism, it's 100% free!